The Point of Grace Academy resides in rural Kisumu along the shores of Lake Victoria. This region is known for having some of the highest levels of HIV/AIDS in all of Kenya. Also, while the school sits on the shores of Lake Victoria, clean, safe water is in scarce supply. Raw sewage, heavy farm runoff, toxic chemicals, and algae blooms have rendered the water unsafe. 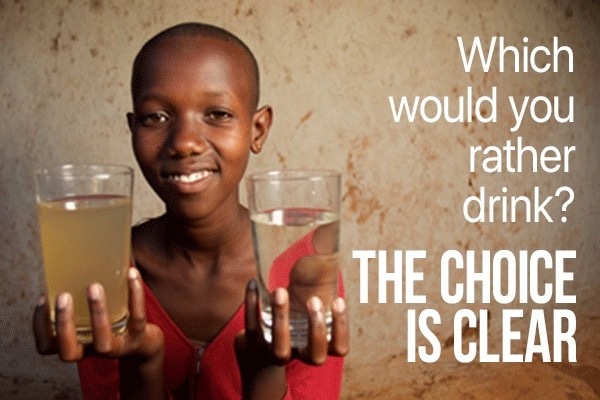 Too many children are dying for a drink of clean, safe water. Consequently, the population, especially school children, have suffered from numerous diseases and death caused by unsafe water: typhoid, cholera, dysentery, diarrhea, worm diseases, skin and eye infections. Also, children who make the journey to find clean, safe water get pulled away from school and learning. It can also be dangerous as crocodiles are known wait for unsuspecting early-morning gatherers. Renowned global authority on water quality, Dr. Moe Mukiibi, - CTO/COO Global Water Center, said “Our bodies contain over 60% water. You can’t have a productive society with a broken watershed." In 2017, we at CannedWater4Kids (CW4k) a water charity whose mission is to ensure all children have access to clean, safe drinking water, funded the delivery and installation of a breakthrough water treatment technology called the Water POD. 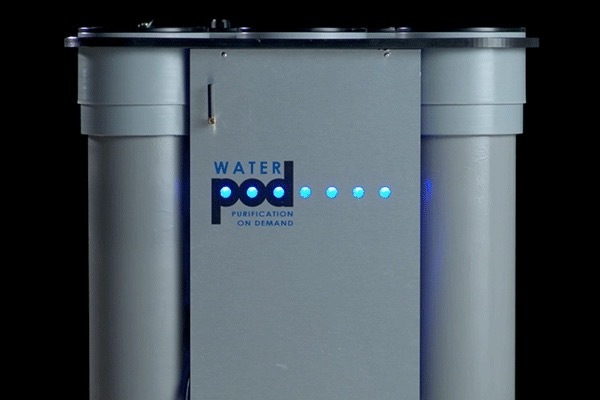 This advanced system, developed by Stonehouse Water Technologies of Milwaukee, Wisconsin, utilizes multiple processes to remove pathogens, such as Cryptosporidium, viruses, bad odor and taste and reduces a variety of heavy metals such as Arsenic to safe levels. The Water POD produces 10,000 gallons of clean water per day from a mix of freshwater sources which will be used for cooking and drinking. One unit can provide water for up to 3,500 users, and is expandable, meaning more units can be added to serve larger populations. The Water POD has onboard telemetry that allows Stonehouse Water Technologies to monitor system performance from anywhere in the world electronically. “Clean, safe drinking water is something many take for granted. I can’t imagine a day without it,” said Greg Stromberg, Founder, and CEO of CW4k. “It makes us feel good knowing that we can make a difference in the lives an entire community. And, that we are able to help children with clean water today, so they have a chance at tomorrow” he added. Hensley Foster, CEO of Stonehouse Water Technologies, and inventor of the Water Pod is proud to have become known for Making the Unthinkable Drinkable. Once installed, this POD water treatment system will, for the first time, supply the school, a hospital and the local community of over 4,000 people with clean, safe water. Since delivery of the POD water treatment system to Africa, loss of the community's electric power generator, severe weather, unexpected engineering requirements and lack of additional funding is preventing the completion of this installation. With your support, we can finish the installation of this life-saving water system. Your donation will help send a US engineering team to Africa as well as provide training for school and community leaders, so this effort is sustainable. Learn more about the benefits of becoming a corporate sponsor. CLICK HERE to learn more and see our works. And, if you know anybody who should know about what we’re doing, please tell a friend. Water is Life.